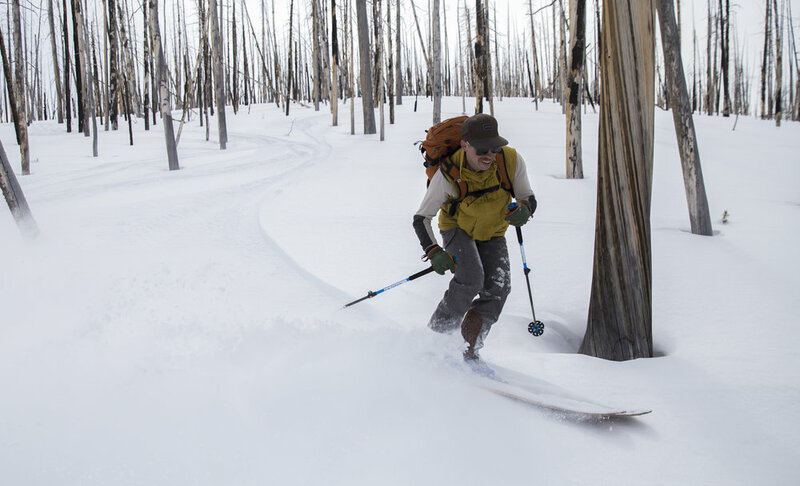 "And there we were, howling at the full moon in the middle of the Uinta Mountains, skis attached to our feet and overstuffed packs anchoring us down. We howled every time we took a break, like the moon unleashed our wild side, or maybe it was the complete immersion into the wilderness. The moonlight paved the way, eventually leading us three miles in to our yurt. We didn’t know what to expect. 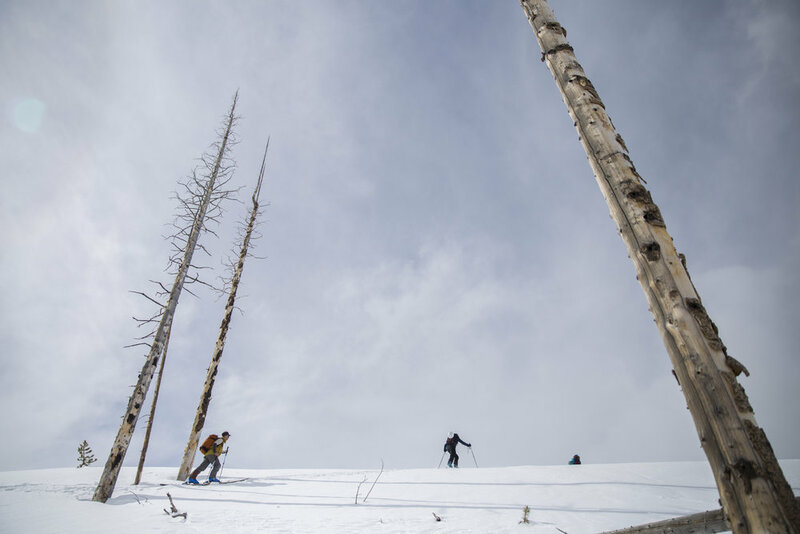 We couldn’t see our surroundings, had never skied the area, and as you might know, Utah is seriously lacking in snow this winter. All we could hope for is that we’d wake up in a snow-filled paradise. We shared a few warming pulls from our whiskey bottle and tried to map out the terrain around us, picking out a few good mountains that would hopefully have a few skiable lines. The Uintas in the winter aren’t easily accessible. Either you need a snowmobile, or you can opt for the human-powered option of touring in. It’s recommended that if you want to ski anything decent, you use a combination of the two. But for us, this was more about the fitness and achieving something by ourselves. The is the sport of ski touring. All through the night, sleep was sparse as the warmth of the fire dimmed every couple of hours. 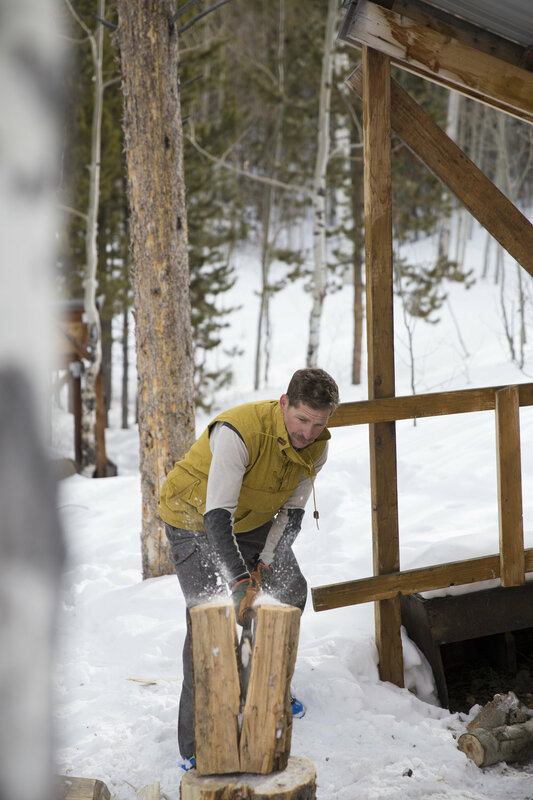 We’d awake to stoke up embers in the potbelly stove and warm the yurt up again. In the morning, this served as our cooktop stove. Blueberry pancakes never tasted so good. When we stepped outside, we could finally make sense of our surroundings— a lot of small hills. Nothing on the map was as big as we had hoped. Still, we set out northbound toward something we picked out the night before. Once we made it over a small pass, our goal was in sight. The mountain was a skeleton of what it once was—all that remained were thousands of dead trees, taken by fire during the previous summer. My thoughts on the skin track circled around how dry the summer and winter both had been. Even though the threat of global warming in Utah seemed so daunting, it was beautiful to still be able to find solace among those dead trees. As we approached the top of the hill, our wild wolves were let loose again. We howled as we ripped our skins from our skis and scarfed down a few snacks that we had packed in. It was finally time to make some turns!"